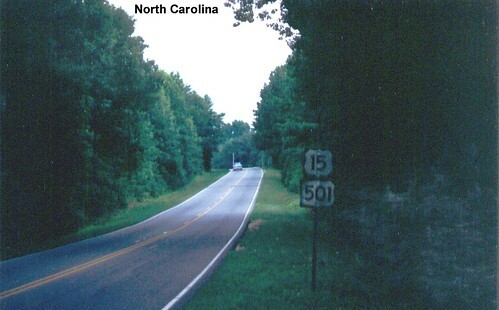 US 15 crossing the border from Virginia into North Carolina. 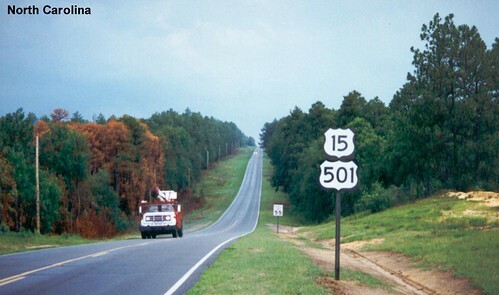 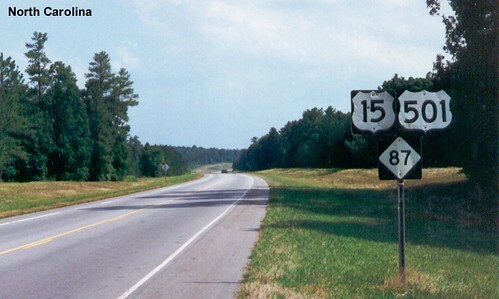 US 15 is also signed as the Jefferson Davis Highway in Granville County. 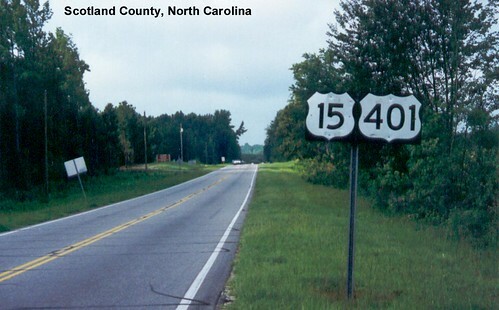 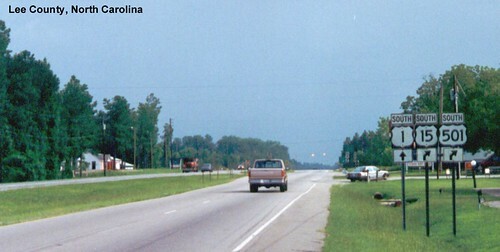 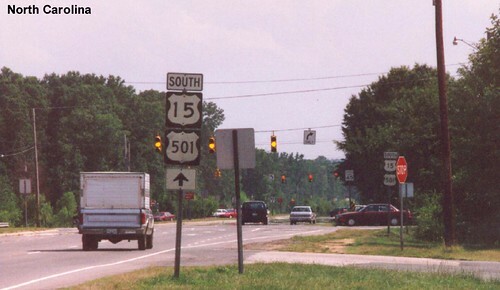 US 15 is multiplexed with US 1 a couple of times in North Carolina.